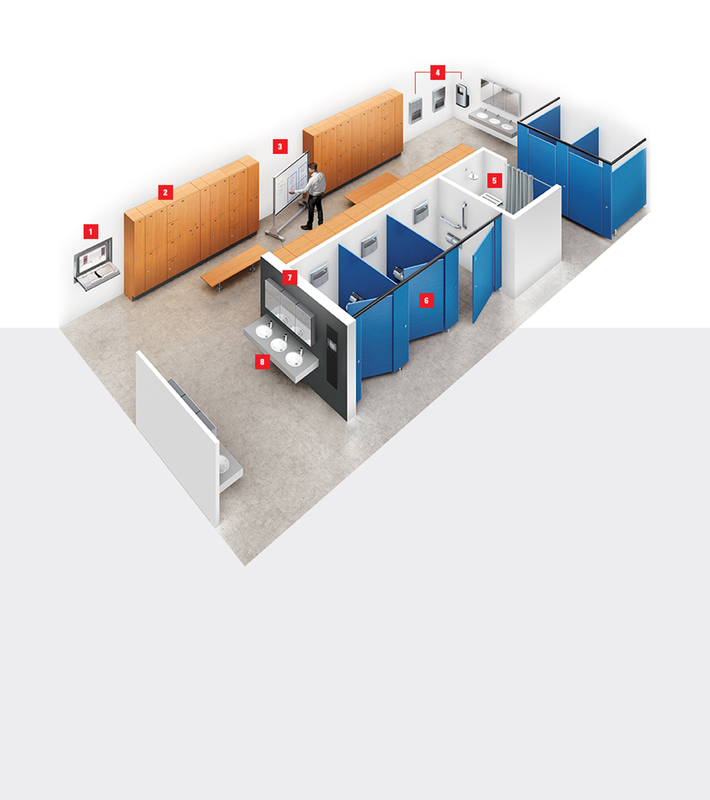 ASI Group Canada is the Single Source Solution for Washroom Accessories, Toilet Partitions, Visual Display Products, Lockers and other storage products. 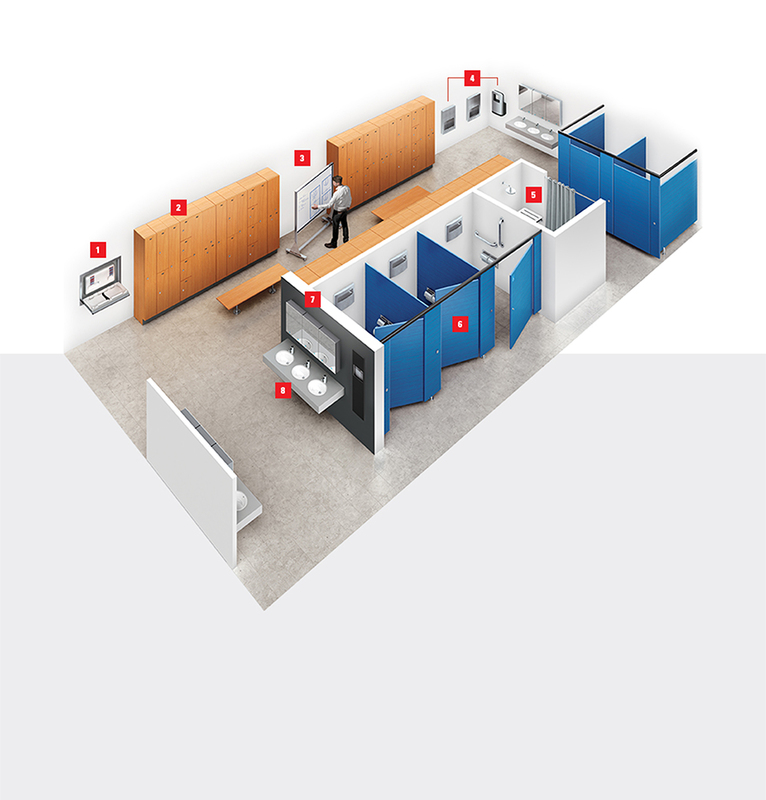 With Partitions ranging from stainless steel, powder coated steel and solid plastic to solid phenolic (black core and color-thru) and plastic laminate in every construction style, we also now offer Ultimate Privacy™, which is unmatched in our industry. 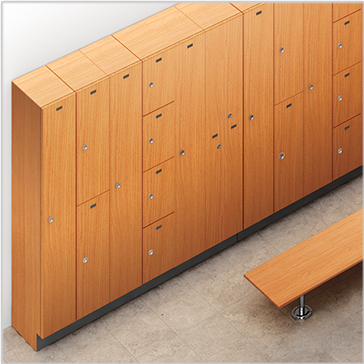 Our Lockers are made from powder coated steel, solid plastic, and solid phenolic in a variety of configurations. 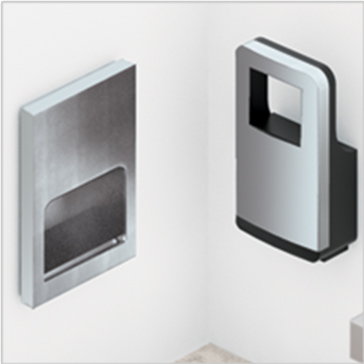 Our Visual Display Products include a wide variety of trim systems, writing surfaces and display accessories made with the highest quality in mind. 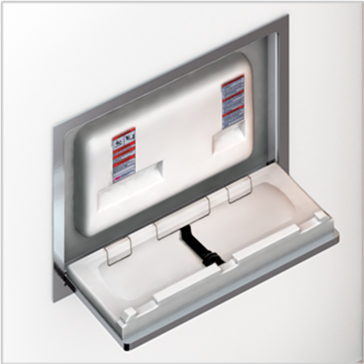 Our Washroom Accessories include every product type—hand dryers, paper towel and waste combination units, baby changing stations, soap dispensers, grab bars, mirrors and much more. 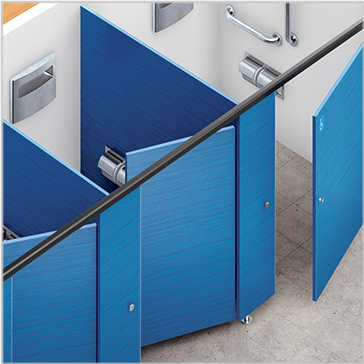 The ASI Group, with its global headquarters in Yonkers, NY is a building product manufacturer with its roots in Division 10 products like Washroom Accessories, Toilet Partitions, Visual Display Products and Lockers. It has always been our understanding that a well-designed bathroom and locker room can be the deciding factor in elevating a building from good to great. 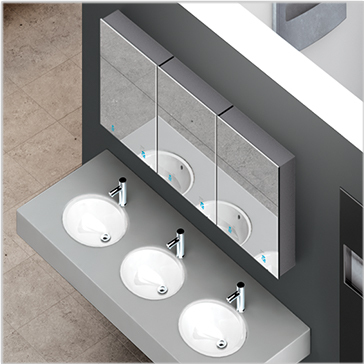 So, we developed the most innovative collection of Washroom Accessories, Toilet Partitions, and Lockers in the industry. 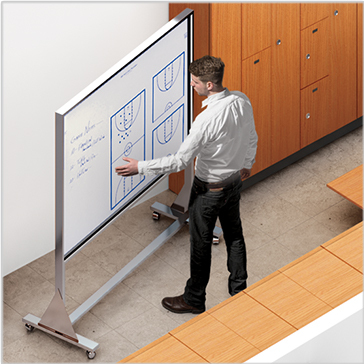 With the addition of ASI Visual Display Products we have moved beyond Washrooms and Locker rooms and we will apply that same drive to ensure that today’s buildings have the best options when it comes to Visual Display Products to foster collaboration, learning and excellence. 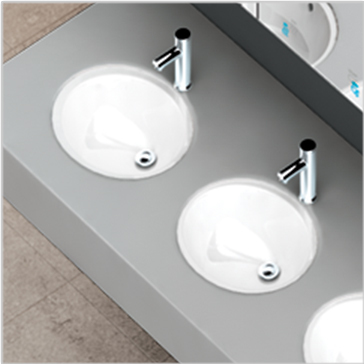 Our washroom accessories are featured in some of the world’s most prominent projects. Whether you are in the AT&T Stadium in Dallas or Lincoln Center in NY, chances are you’ve seen ASI. 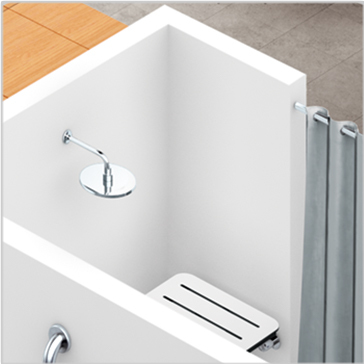 From markerboards, tackboards, to coat racks, ASI offers an extensive line of products for any interior.